In 1936 Rene reached the school-leaving age of 14 and was sent to learn dressmaking with local identity, Miss Connie Russo. It was probably her mother Jane who arranged this loose apprenticeship. 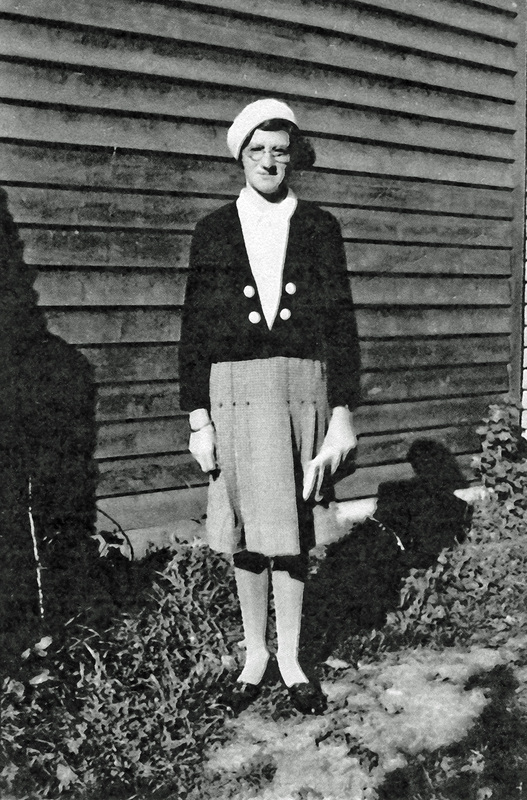 Jane’s own work as a laundress had given her independence and allowed her to travel. It was still helping to put food on the table. It is easy to imagine Jane impressing upon her daughter, “A woman has to have a livelihood”. Rene Duncan 1936. From the author’s collection. Copyright Andrew Palmer. In her spare time Rene took violin lessons, also from Miss Russo. Rene played violin at the Beaufort Methodist Church, and as part of the Beaufort Municipal Band. 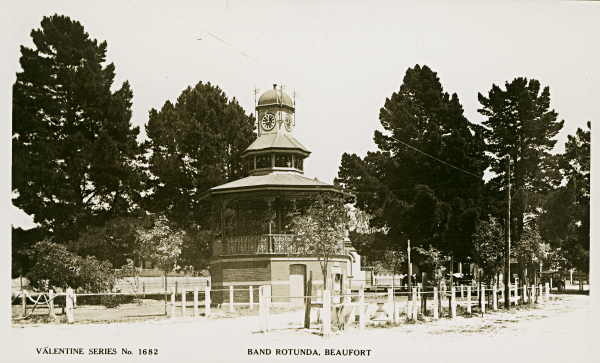 Band Rotunda, Beaufort, c. 1935. Rene Duncan would have played here as part of the Beaufort Municipal Band. Featured image: 1936 ‘WHAT ARE YOU GOING TO MAKE OF YOUR GIRL?.’, The Don Dorrigo Gazette and Guy Fawkes Advocate (NSW : 1910 – 1954), 6 November 1936, p. 4.